Book of the Week Book of the Week: A Pick by Nicoló Degiorgis Photographer Nicoló Degiorgis selects 19.06_26.08.1945 by Andrea Botto as photo-eye Book of the Week. This week's Book of the Week pick comes from photographer Nicoló Degiorgis who has selected 19.06_26.08.1945 by Andrea Botto published by Danilo Montanari. "Andrea Botto produced this book in memory of the journey his grandfather made, travelling from Northern Germany back to Tuscany after his release from Nazi captivity at the end of World War II. As Andrea states, the book is dedicated to all the Italian Military Internees who shared this terrible experience with his grandfather. By interweaving images from the internet, relating to the dates and places of the journey, with astonishingly accurate reproductions of his grandfather documents and letters, the book invites the reader to follow a personal path along the journey rather than outlining a sequential narrative. 19.06_26.08.1945. By Nicoló Degiorgis. Danilo Montanari, 2014. 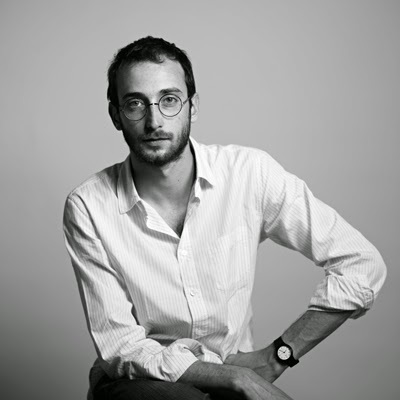 After studying Chinese at Ca’ Foscari University of Venice, Nicoló Degiorgis moved to Hong Kong to work for a trading company and later to Beijing to continue his studies at Capital Normal University. He interned at Magnum Photos in Paris for six months and was awarded a 2008/09 Fabrica fellowship, Benetton’s communication research centre in Treviso (I). In 2009 he became a researcher on immigration issues at the University of Trieste and was granted a one year artist-residency in Venice at the art foundation Bevilacqua La Masa. In the same year he joined photo agency Contrasto and engaged in an intense period of editorial assignments for major international magazines, documenting various events, from art biennales to the Arab Spring. In 2011, the US photo magazine Photo District News ranked him among the thirty emerging photographers to watch. Since 2013 he teaches photography inside the prison of Bolzano. He is a founding member of Zona, an association that develops projects to raise social awareness, of the design collective Institute of Friends and of the independent publishing house Rorhof.